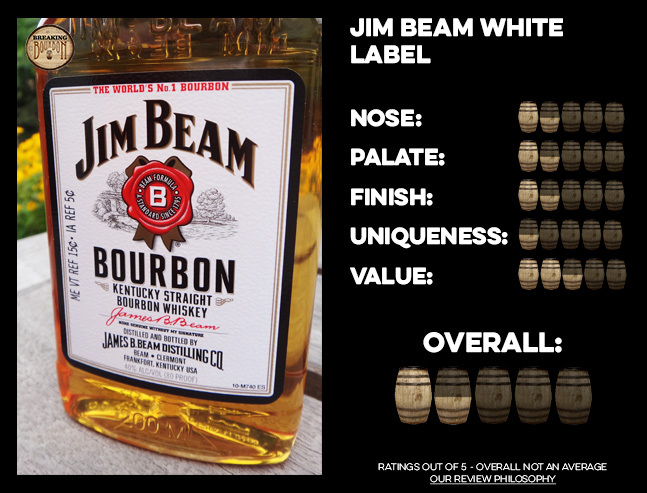 Jim Beam white label is Beam’s flagship bourbon and their best selling product. Corn, light fruit and alcohol pretty much sum the nose up on this one. It's basic with no depth. Typical bourbon flavors of caramel and vanilla. Tiny amount of fruit and honey. Very ho-hum palate with weak flavor all around. Smooth mellow finish with medium length. Corn and vanilla are present but overall the finish leaves little impression on you. It's hard to find anything unique about this bourbon. 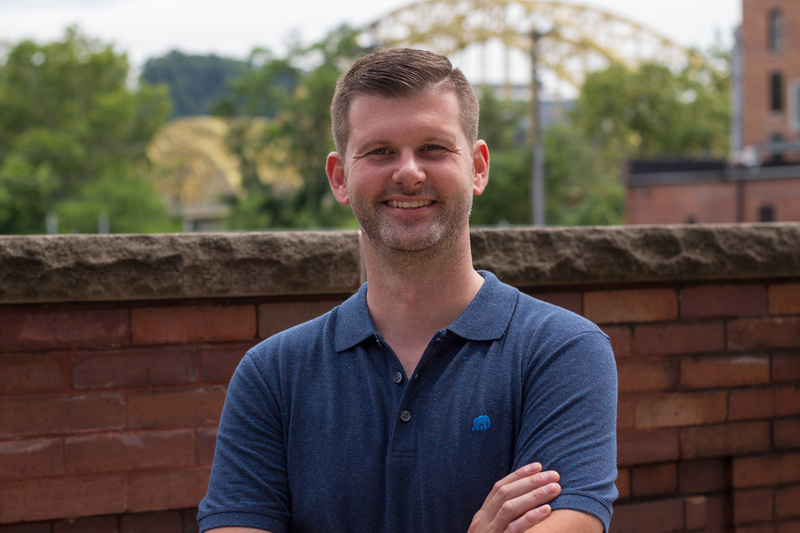 If it wasn’t for the brand’s long history and strong marketing technique, it would likely be a flop if coming onto the market today. But before the pitchforks come out, let me back up my point. Jim Beam white label isn’t meant to be unique. It’s mellow, low proof and low cost for a reason: so as many people can enjoy it as possible. 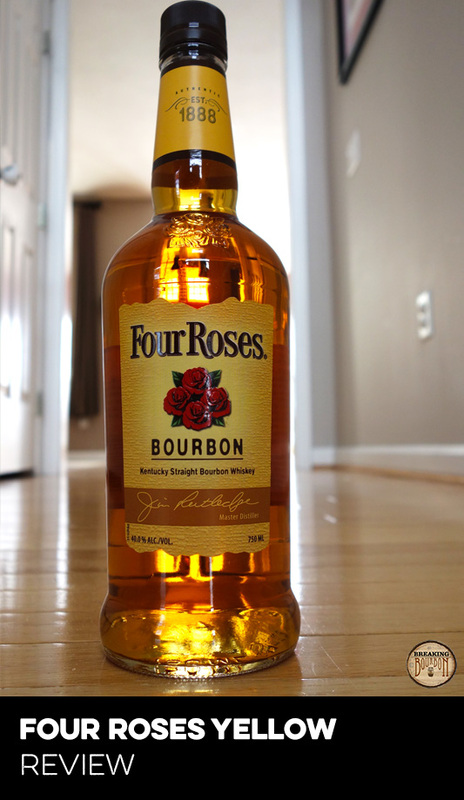 There’s nothing inherently bad about the bourbon. It’s designed for any level of bourbon drinker, or for that matter any alcohol drinker, to not be offended by the taste. That is why you see it in every bar in America. 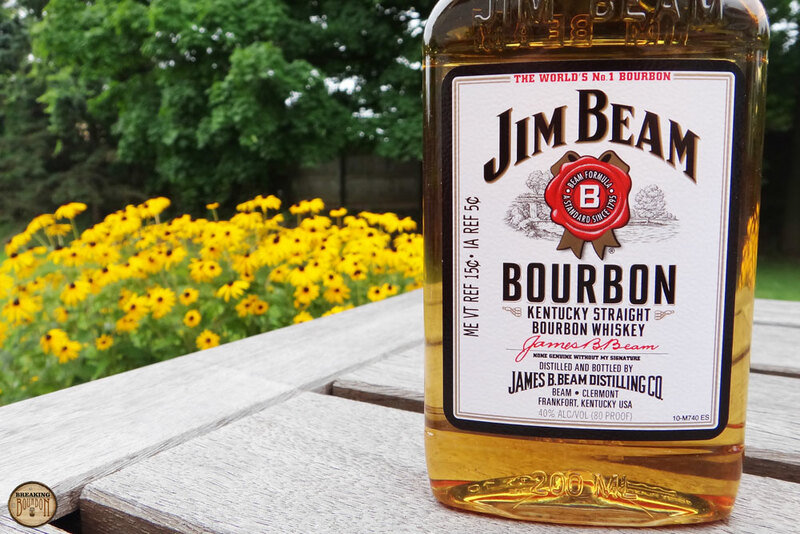 Jim Beam is a budget bourbon pure and simple. Probably more times than not, it’s where many people start their bourbon journey. Its low proof and price make it a great place to start. For people who want to make whiskey mixed drinks, low price is often the number one thing they’re looking for. If we’re going to critically look at this bourbon though, then all of the bourbon’s attributes must be examined. Its mild flavor, lack of complexity and low proof point don’t make it a great sipper. There are many fantastic bourbons on the market for $5 dollars more. At just $10 dollars more, there are many bourbons that are light years ahead of this. 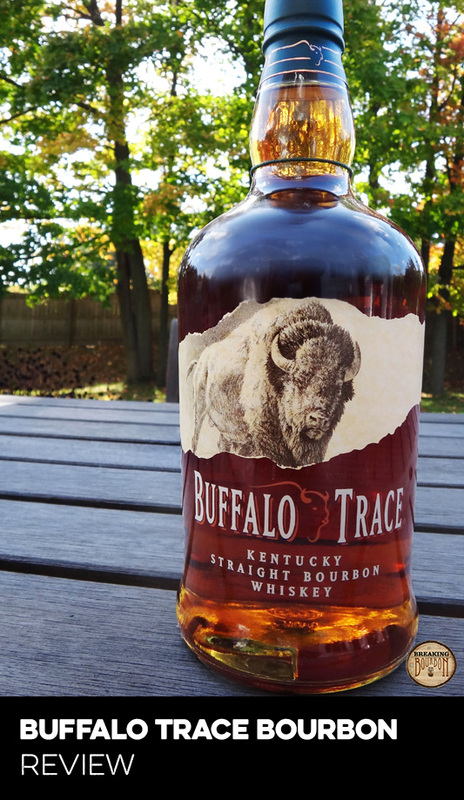 A starter bourbon that mixes well, but is boring as a sipper. With Jim Beam white label, it all comes down to what you’re looking for. Compared to other budget bourbons, it’s probably one of the best inexpensive bourbons on the market. Many people are also probably planning to mix it with something else. If you’re someone that doesn’t want to have a strong bourbon taste in your mixed drink, Jim Beam is your bourbon. Its mellow flavors will probably blend well with just about anything. But, if you’re someone that wants to sip their bourbon and enjoy its finer points, Jim Beam white label is not your bourbon. This is why Jim Beam also sells their Double Aged and Single Barrel, not to mention their small batch series. Again, it all comes down to what you’re looking for in a bourbon and how much you want to spend.